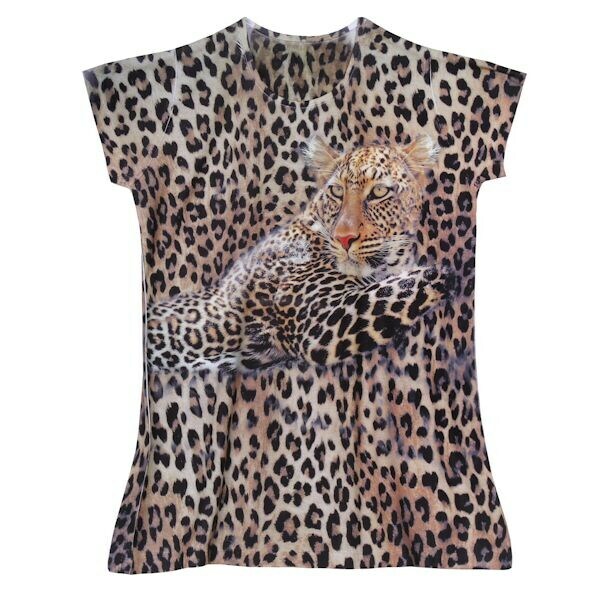 Be as fierce as a leopard. But above all else, be very much in style with these richly printed tees, each with cute cap sleeves and incredibly lifelike details. Machine wash. Cotton/polyester. USA. M-XXL.